For a lot of Android users out there, the Nook Color was their first exposure to the platform, or at least their first exposure to the magic of root and custom ROMs. The tablet's unlocked bootloader (from the days before B&N caught wise and started protecting its loss-leader business model) made it easy to convert into a "full" Android device. The CyanogenMod family of ROMs was one of the first reliable alternatives to the base software, and despite the aging hardware, the latest update is now available for the Nook Color. 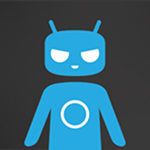 CM 10.1 (Android Jelly Bean 4.2) is now ready in nightly form. While the late 2010 tablet isn't going to leave anything in the dust, it's at least as useful as the latter Nooks and Kindle Fires after being granted access to the Google Play Store. At the moment, new builds for the Nook Color are coming at intervals of about one week, and there are no stable or beta builds yet. If you're wary of the usual pitfalls of nightly ROMs, you might want to stick to CyanogenMod 10 (4.1) or whatever ROM you're using at the moment. Ready to take the plunge? Don't forget your Gapps.